Mexican filmmaker Daniel Lezama has won the coveted 2018 prize for the best Cinéhaïku of the year for his film “Time Stands Still”. Lezama, a Masters student at the International School of Film and TV in Cuba (EICTV), was selected from a shortlist of 15 finalists after receiving the most number of points from an 8-strong jury from the art and literary world. Jury members included award-winning Japanese film director Naomi Kawase, authors Christophe Rey and Thomas Clerc, artist Xavier Veilhan, Cinéhaïku director Clara Molloy, AsiaNow festival director Alexandra Fain and Tsutomu Sugiura, President of the Maison de la Culture du Japon à Paris, and curator Jean-Hubert Martin. Speaking at a prize-giving ceremony held on the opening day of the Cinéhaïku Festival, in Gordes, Lezama said he was delighted to have won and added that the $5,000 prize would be used to fund his next documentary film about an old theatre in Cuba that had its last curtain call in 1965. His winning Cinéhaïku, filmed in three parts and 30 seconds, shows two figures running both towards and away from the camera, through a densely wooded forest and along an open tree-line lined road. 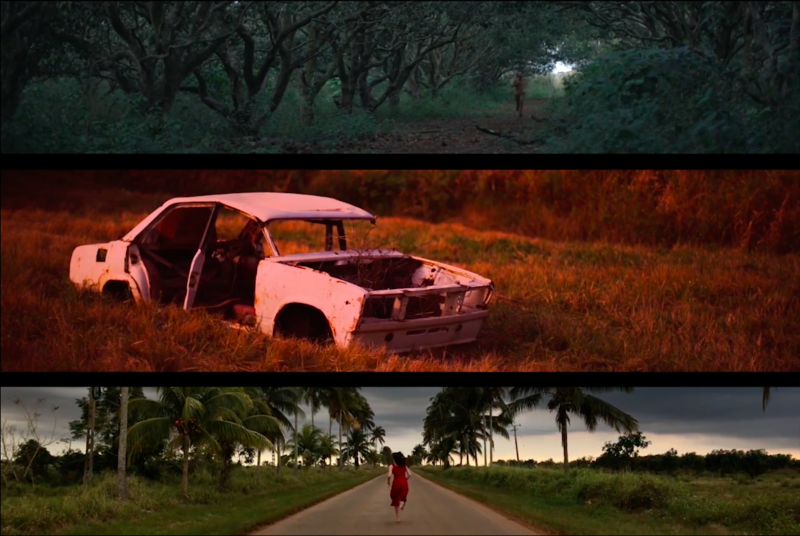 The two scenes are punctuated by an image of an abandoned car that has succumbed to nature with time – its motionless state in stark contrast with the urgency of the moving figures. The launch of the Cinéhaïku Festival, which took place from 31 May to 15 June, was celebrated with an opening cocktail attended by guests including members of the jury, Gordes council, press, and the artists who exhibited their specially-commissioned films at the festival. John Molloy added: “Cinéhaïku is something democratic: anyone can participate as long as you have a phone. The only criteria is talent. It is international, there is no single language, it is modern and digital, and we want to inspire people to take part.